Plazas Abogados’ offices in Sotogrande have been raided by 12 Customs and Excise Task Force officers a few hours ago, in connection to the arrest of former Spain’s Vicepresident Rodrigo Rato. The Spanish Prosecutor ordered members of the Customs and Excise and National Police Forces, with the collaboration of San Roque Court Number 1, to search the offices for any sensitive information as part of a probe into allegations of potential money laundering and embezzlement. The Spanish Prosecutor accuses Mr. Rato of regularising an unjustified and dubious money flow in 2012. Plazas Abogados also advises Jyske Bank. Judging by events sorrounding her choice of law firms, its been a pretty weekus horribilis for Yvette Hamilius. Then again, she’s never shied away from her bank’s tax evasion practices. Emili Cuatrecasas has pleaded guilty to 8 tax-evasion charges and settled with the State Prosecutor: he will serve a 2-year suspended sentence. Our product, Lex Life Capital Assurance-Spain, has been developed in cooporation (sic) with the law firm CUATRECASAS (www.cuatrecasas.com), “Best Spanish Firm of the Year 2005, International Law Office”. Following the revelation that the boss of Landsbanki’s legal team in Spain, Emilio Cuatrecasas, had come under fire from the Spanish Tax Office, Yvette Hamilius decided to pull the plug on them and appoint Plazas Abogados, based in Marbella and Sotogrande. This move comes as a surprise since Plazas Abogados was one of the legal firms that actively participated, in the years 2005-2008, in the perpetration of this widespread scam. Plazas Abogados have since confirmed that Landsbanki’s product did not aim to avoid IHT, adding that the bank did not offer the Equity Release product to avoid IHT. Sadly for Plazas, two different lawyers for Cuatrecasas have argued quite the contrary: that the Equity Release was a popular product to minimize IHT and that this was the main reason why they bought into it (sic). 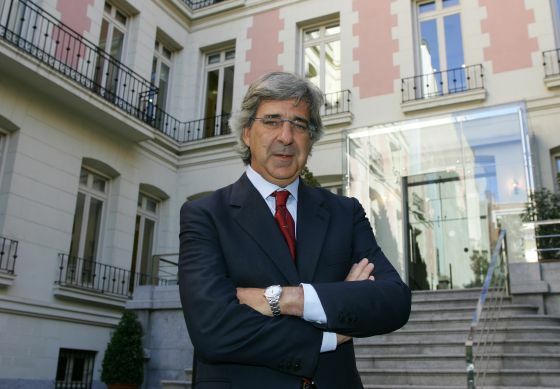 Emilio Cuatrecasas, founder of Cuatrecasas firm, has entered negotiations with the Spanish Prosecution Service and the Tax Office to avoid landing a lengthy prision sentence as part of a plea bargain, according to the web EconomiaDigital. The case relates to Mr. Cuatrecasas’ tax-creative antics when trying to put personal expenditure (luxury yacht, properties, furniture etc.) as deductible corporate expenses. 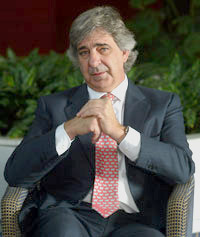 Cuatrecasas currently advises tax-evading Landsbanki in Spain. Cuatrecasas, Goncalves Pereira law firm, second by turnover in Spain, has confirmed to lawyers acting for Landsbanki victims that Lex Life and Pensions SA used their name illegally when promoting the Lex Life Capital Assurance in Spain. According to the deceptive publicity of the ignominious Luxembourg-based company, the named firm had been involved in preparing the sham Equity Release product. Spanish IHT has a ceiling of 34%, but depending on personal circumstances, the amount can go up by 2.4 times. The Lex Life Capital Assurance-Spain is an excellent, tax compliant way of mitigating tax exposure and safeguarding inheritance tax. Cuatrecasas strongly denies any involvement with the above and has confirmed to lawyers acting for the victims that they are considering legal action against the company, or their successors. 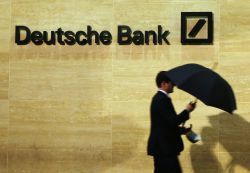 Deutsche Bank will have to repay over 3 million Euros to 49 customers who invested, through this bank, inLehman Brothers, Landsbanki and Kaupthing toxic financial products. In spite of an earlier dismissal of the claim by a Court of First Instance, the Madrid Appeal Court considers that the bank failed in its statutory duties towards their clients: diligence, loyalty and clear information on their products. According to the ruling, Deutsche Bank failed to explain not only the nature and characteristics of high risk products, such as the “preference shares” but also, the financial and economical risks of the underlying investments. OMM, or Offshore Money Managers, has been living very well for far too long on the back of a lie: that it is registered to conduct investment business. But they are not, and dishonest Mr. Colin McCready knows it far too well in spite of which he has managed to get away with his insurance broker “DGT license” -which he is fully credited with having allowing him to sell car/house/life insurance policies- to conduct investment business, which he holds no license for. That said, Mr. McCready has also been an exceptionally efficient tax-evading Equity Release travelling salesman (Jyske Bank, Landsbanki…), and that has placed him in the spotlight. Unfortunately for him, he has left a trail of incriminating obnoxious publicity that is causing anguish to countless pensioners. Insurance brokers will provide truthful and sufficient information in the promotion, offer and subscription of insurance contracts and, in general, in all its advisory activities. In the next posts we will publish part of Offshore Money Managers publicity to see if it at all, it does in fact comply with the above. Thick-skinned Yvette Hamilius resilience cannot be explained other than by assuming she has been paid a truckload of money, or blackmailed in some sordid manner, to endure the barrage of persistent attacks from hundreds who feel, and quite rightly may we add, totally conned by the company that she represents. 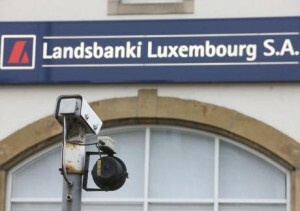 There is no need to transcribe the article that appeared on the Luxembourgeois online newpaper www.wort.lu but we will add that, if lawyers acting for Ms. Anne Vershchaffel succeed in having foreclosure proceedings, brought by Jyske Bank, declared null and void due to using an unregulated valuation company from Girbraltar on a Spanish property, the 200 or so “customers” of Mrs. Hamilius will be able to sleep a bit better. Legal agreements that contravene obligatory or prohibitive laws are null and void, unless applicable laws envisage a different legal outcome.